Broncolor has (re-)released a light modifier that turns a studio lamp into a tubular stripbox for illuminating confined spaces. Broncolor, the Swiss lighting manufacturer, has announced a new accessory designed for use in cramped environments. 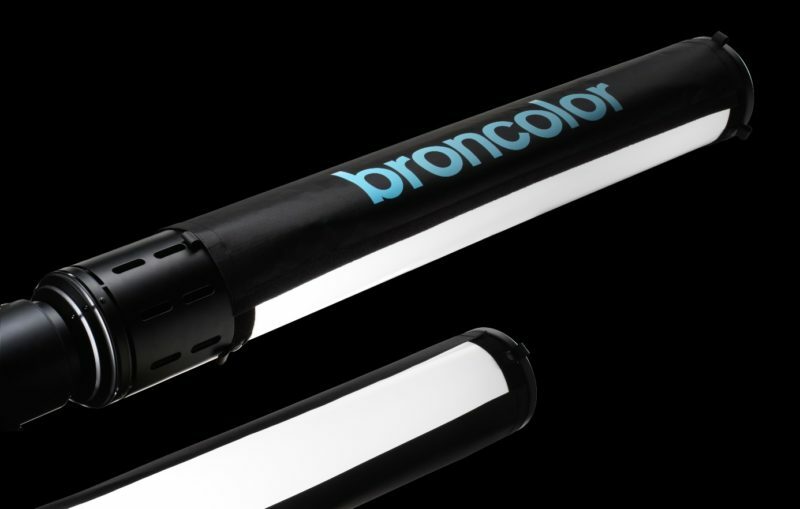 The Broncolor Litepipe P is a long tube that turns a conventional studio head into a stick lamp, with 360° light spread. Attaching “counter reflectors” allows the light to be controlled in one direction. According to the manufacturer, the Litepipe P obviates the need for boom arms or ceiling mounts when working in confined spaces, as well as making it easier to illuminate long, narrow rooms, such as train carriages. The modifier connects to Broncolor Pulso G, Unilite and MobiLED heads as well as to the Broncolor Siros monolight. In some ways, this is a studio-sized version of modifiers like the SaberStrip, StrobiStrip and Striptube—all accessories designed to turn speedlights into stripboxes. It’s also a bit like the Ice Light or Magic Light Tube, but without a light source already inside. This isn’t an entirely new product: the Broncolor Litepipe P is based on the Bron Kobold Litepipe, a similar modifier designed for continuous broadcast lighting. The new version seems to be more or less the same modifier with a bayonet mount. Not enough for your needs? 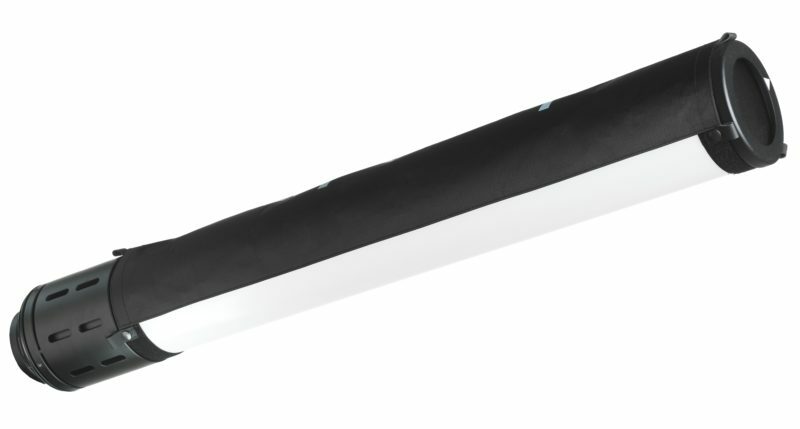 The Licht Technik Bag-o-Light is the same idea but on a larger scale: up to 18 metres long! 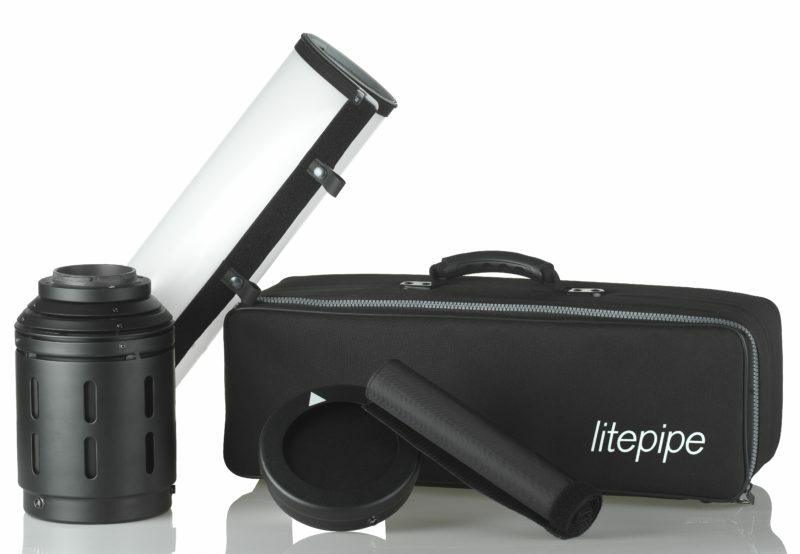 The Broncolor Litepipe P breaks down into five parts that fit into a small carrying case. This makes it “the ideal companion for any photographer, whether in the studio or on location”, so say the company. The recommended retail price is 992 Swiss Francs, or about US$1000–1100 (£800)—similar to the old Litepipe. For more information, visit the Broncolor web site.